It comes with all the required ports and its transfer speeds leave nothing to be desired. Because of its driver-free operation, the Gocomma USB 3.0 to SATA/IDE Hard Disk Adapter is perfect for diagnostic and repair environment. Buy one and you will not regret. If you planning to buy any computer repair accessory, a USB to SATA adapter should top your list. This accessory allows you to connect between two most common interfaces. 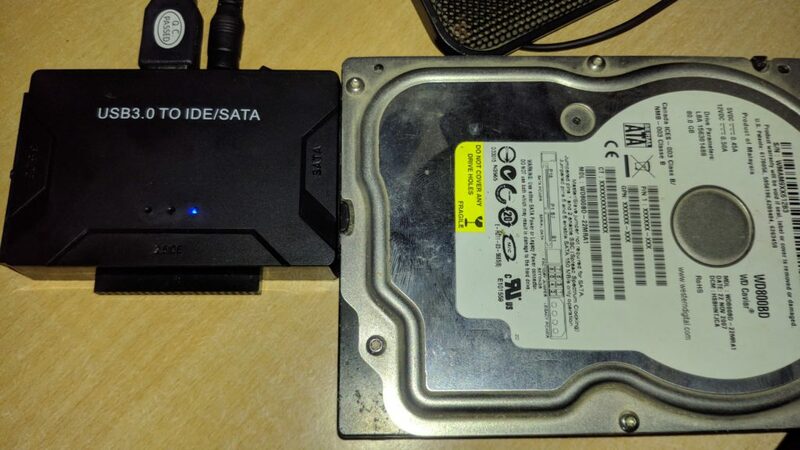 SATA can be found on almost every internal drive including desktops and laptops while USB ports have been an integral part of computers since the last decade. Meet the USB 3.0 to SATA IDE Hard Disk Adapter Converter from Gocomma. 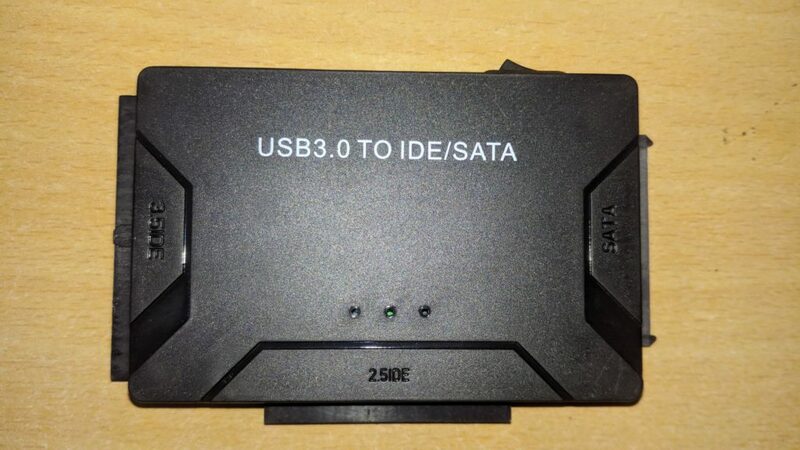 In this article, we will be giving you a review of this USB 3.0 to SATA IDE Hard Disk Adapter and provide you with the pros and cons. Don’t wait and order yourself one from here, it could turn out to be the most indispensable tool in your PC repair kit. Plainly, with this adapter you will be able to connect an internal drive to your computer externally. Now you may ask the necessity of an internal drive outside your laptop or desktop. There are a couple of reasons you should keep one. Whenever there is a hard drive failure, these are your first in the line of defence. If the problem resides on your hard disk, your computer will not likely to boot. You have no other option to replace the drive but you want your old data. 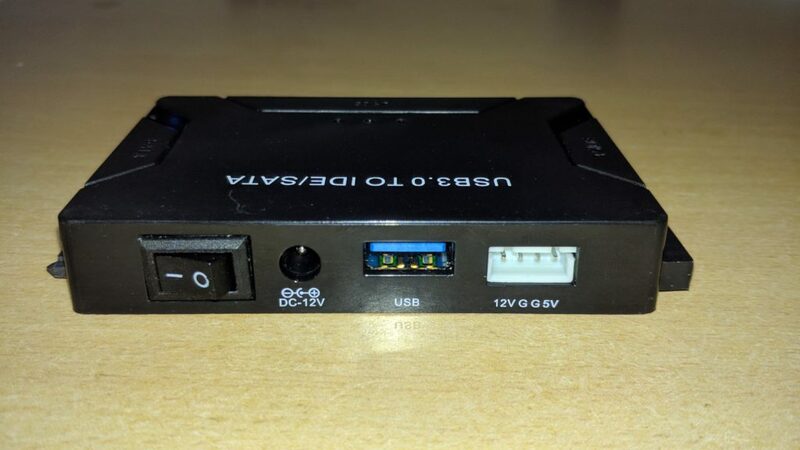 With the help of your USB to SATA adapter, you will be able to connect your old, failed drive as temporary drive and recover most of the files. In any case, your drive doesn’t initialize, you can use any of freeware that allows you to scan the partition table and identify any data that is recoverable. The use of an USB to SATA adapter doesn’t end here. If you own or planning an upgrade to a faster and larger Solid State Drive (SSD) in future, the adapter can be used to transfer a huge amount of data in less time. Also, the cost of hard drives has gone down over the years so everyone atleast has one 500GB drive lying around. With the USB to SATA adapter, you will be able to convert it into an external drive without spending extra money on a new external. Though it sounds like USB to SATA adapters are used by computer techies, everyone should keep one handy. There are tons of them choose for but only some come with all the ports and support for USB 3.0 . Gocomma USB 3.0 SATA/IDE Hard Disk Adapter comes in a rectangular shape and Black color. There are LED indicators on the top while the port connectors are on the rear side. The front side has a 44-pin 2.5” IDE while the left and right side carries a 40-pin 3.5” IDE and 2.5”/3.5” SATA respectively. The rear has a 4-pin power port, a USB 3.0 port, a 12V DC and the On/Off switch. The product’s portable and lightweight design makes it easy to carry around. With this Adapter, you can bring your old hard disk back to life. 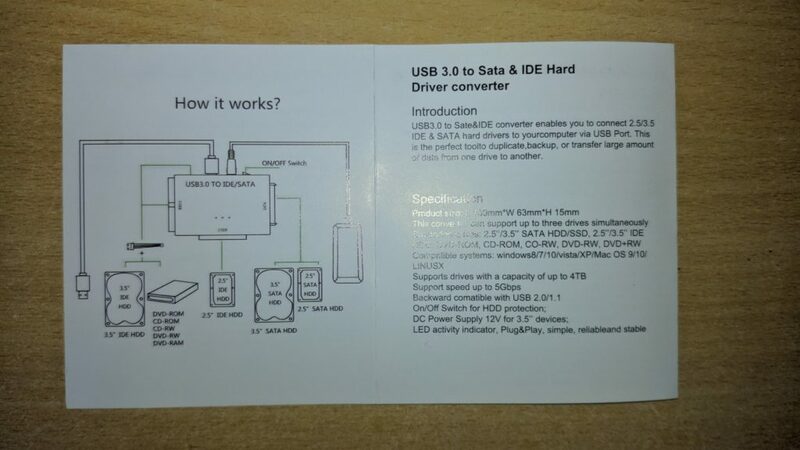 It enables you to connect 2.5”/3.5” IDE/SATA hard drives to your computer via the USB port. This is the perfect tool if you want to duplicate backup, copy or transfer a huge amount of data from one drive to another without consuming much time. It works well with Laptops, Desktops and Smart TVs. This Adapter enables you to connect three HDD drives simultaneously allowing data transfer between the three drives. You can also connect a bare drive without any drive enclosure or HDD dock. There are LED indicators which let you easily monitor status and activity updates. 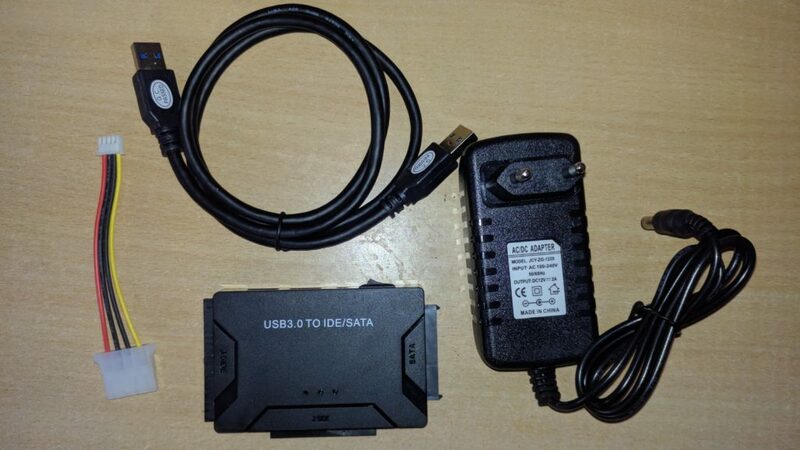 The adapter supports 2.5”/3.5” SATA HDD and SSD, 2.5”/3.5” IDE HDD, DVD-ROM, CD-ROM, CD-RW, DVD+RW. The IDE Converter also boasts back compatibility with USB 2.0 / 1.1. 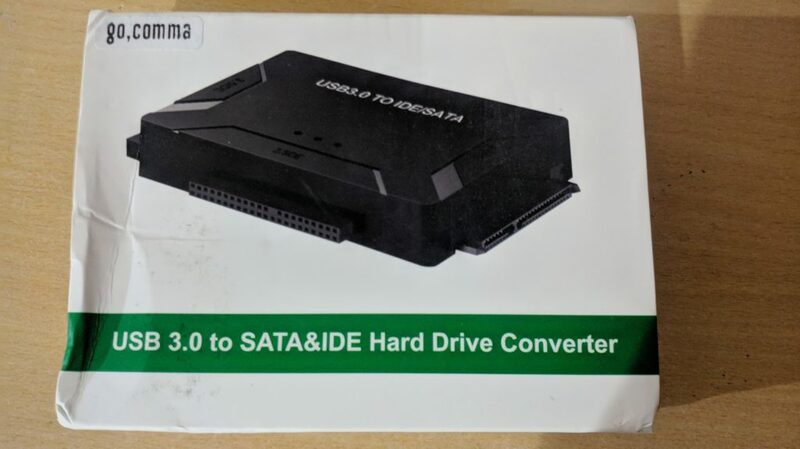 There is a SATA II connector and two IDE connectors (40pin and 44pin). With a USB 3.0 interface, it theoretically allows data transfer rates up to 5 Gbps although we know from experience that it’s just on paper. For common desktop hard drives, the max speed is 120 MB/s for reading and 100 MB/s for writing. The speed drop here is to be blamed for the old hard drives and not the adapter. It comes with huge capacity support up to 4TB, allowing you to store thousands of 4K UHD movies and watch them as you like without any latency and freeze. The adapter works well with Windows (XP/7/8/10/Vista), Mac OS (9/10) and Linux without the hassle of installing software or drivers. Just plug it and you are good to go. It is a cost-effective solution for external storage or incompatibility between the hard drives and USB motherboards that don’t have SATA or IDE. The unit that we tested it with an 80GB old hard disk and connected it as external storage. It was made in November 2007 and gave an average speed of 55 Mbps. The quality is very good and there were no problems while connecting. However, the supply cable is a bit short and sometimes it was difficult to connect it from HDD to the adapter. If you own a coupled of old hard disks, this is a must-have product. Without any hesitation, this is one of the top accessories for your computer. Even you are a not a “techy” person you could always wait for that inevitable rainy day when you will be needing one of these little gems. This will not only save you a couple of bucks but makes good use of your old computers. It comes with all the required ports and its transfer speeds leave nothing to be desired. Because of its driver-free operation, the Gocomma USB 3.0 to SATA/IDE Hard Disk Adapter is perfect for diagnostic and repair environment. Buy one and you will not regret.